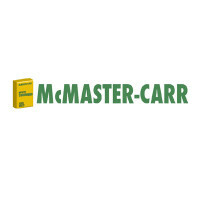 McMaster Carr is a supplier to industrial and commercial establishments across the globe. They specialize in the next day delivery of Maintenance, Repair, and Operations (MRO) supplies and other materials. This is a privately owned and family-own supplier. If you are interested in the McMaster Carr application, you can read on for details. McMaster Carr was founded in 1901 and is headquartered out of Elmhurst, Illinois. There are distribution centers in New Jersey, California, Georgia, and Ohio. In their catalog, they maintain over 510,000 products. These products are not usually all found at one location and include products for mechanical, electrical, plumbing, and utility hardware. This is a company that is proud of the diversity within the ranks of their employees. They have needs for all talents and skills within their company. There are people that were in the military, there are people that just graduated college. This diversity is an asset to them, and feels that this diversity in combination with the employee’s creativity is what helps this company flourish and succeed. If you are looking for a company where you will be appreciated for your individuality and unique skills, than you do not have to look any further than this company. They want employees that are willing to come up with new ideas to help them remain among the most innovative company of its kind. They want people with solutions and enthusiasm. If that sounds like you, apply now. McMaster is a company that is proud of their diversity. They acknowledge that each of their divisions require a different group of people to ensure the success of their company. They have 5 regional branch locations that have a variety of positions available. Regional branch positions include customer service, sales, and warehouse operations. Their corporate office also shares this need for diversity. There are so many different positions that they welcome individuals with all different skills and talents to join them in a McMaster Carr career. They want employees for the fields of information systems, electronic publishing, and purchasing and merchandising to help grow this company. With the diversity at this company, there are a lot of different requirements to obtain positions at this company. How old do you have to be to work at McMaster Carr? You must be at least 18 years of age to work here. The minimum education level to work here is a high school diploma or equivalent. McMaster Carr has a comprehensive benefits package, better than others in their industry. Employees can receive benefits if they meet eligibility requirements like time at the company or hours weekly. An employee can receive company paid medical insurance, including dental, vision and orthodontia. Other benefits include profit sharing, life insurance, and 100% tuition reimbursement. The hours of operation can vary depending on the corporate office or regional branches, and may be subject to holidays. Some holidays would require the location to be closed for either the entire day or just part of the day. Hours are Monday through Friday from 7:45am to 6:00pm, Saturday from 8:00am to 11:00pm. Customer Service Representative- A customer service representative is primarily responsible for ensuring that the customer is completely satisfied with their experience here. They will answer phone calls, transferring them as needed. They will also answer any questions that a customer may have, and will help them with issues on the website, ordering process or mobile application. A customer service representative may earn around $47,000 a year. Operations Manager- The operations manager is responsible for running the operations of their regional brand. They will ensure that all manufacturing done complies with company policies and OSHA safety regulations. They are also responsible for interviewing, hiring, and training new staff to comply with all policies and regulations for safety, sanitations, and production. An operations manager may earn around $98,000 a year. Operations Supervisor- The operations supervisor is responsible for performing foreman duties. They will walk around to ensure that all policies and regulations are being followed. They will also help train new employees. The operations supervisor reports directly to the operations manager and will perform managerial duties if the manager is not around. An operations supervisor may earn around $82,000 a year. Generalist- A generalist is responsible for being able to perform a variety of tasks within the branch. They work in any area that they are specifically needed for that day, and as a result will need to know the layout of the branch and be knowledgeable in all aspects of production. A generalist can earn about $54,000 a year. The following is a list of questions that you may be asked during your McMaster Carr job interview. What made you want to work at McMaster Carr? The interviewer wants to see if you are serious about this position at this company. They are looking for more than “I need a job and you were hiring”. They may want additional information about what makes you a good fit for them. Explain why you applied here and what specifically has drawn you to this company. Where do you see yourself in the future? You will find that this company encourages growth and advancement here and the interviewer is seeing if this interests you. Discuss with the interviewer want your career goals are for the future and how this company is a part of that goal. How can you help improve our processes? This will require you to know a bit about the company. The interviewer wants someone who is innovative and can be a productive member of their staff. This company encourages suggestions and wants employees to feel open enough to do so. Discuss a specific process that you feel could be changed and offer some ideas on how to do so. What do you like most about your current position? The interviewer wants to make sure that you are going to be happy in this position so that you will last a longer time. Discuss your favorite aspects of your current job, and maybe even mention something that you dislike. What do you do in your spare time? The interviewer wants to get a feel for your personality to see if you are a good fit here. Answer honestly about your hobbies and any activities that you enjoy. There is no way to apply directly online at McMaster Carr. If you want to know how to apply at McMaster Carr, you can visit the McMaster Carr jobs online section to find an email address to submit your resume. You can also find a physical mailing address to mail your resume to. There are no applications, so you cannot find any downloadable applications or printable applications online. You will also not be able to find the job descriptions or responsibilities for positions on the website. When you submit your resume, you can mention which position or positions that you are interested it. They also have recruitment areas located at colleges to recruit college students and they will also offer information about positions. This company is quick to respond to applicants, some even taking only a few days to get a call for an interview. If some time has passed without you hearing from this company, you can contact the location that you applied at. They may be able to help you find out the status of your application and can let you know if they are still hiring. Preparing for your interview can make a huge difference in whether or not you get hired. By practicing potential interview questions in front of a trusted person or your mirror, you can help boost your confidence and you can walk into your interview with good posture and speaking articulately. It is also important to remember to dress in a professional manner. First impressions are important and make a difference. SCANA Corporation: Visit the job application for SCANA Corporation to apply today. Quaker Oats: For career opportunities, fill out the Quaker Oats online application. Baltimore Gas And Electric: For employment at Baltimore Gas And Electric visit the application page. Landstar System: Visit the job application for Landstar System to apply today. Cox Communications: Cox Communications offers opportunities for both, beginners and experienced roles.